How to Remove Superglue from Quartz Countertop? In the field of mending broken things, superglue is one of the go-to saviors. Indeed, it is amazing how it can instantly patch things up and how durable it is as an adhesive. However, there are even more precious things in the household, like a quartz countertop, for example (if you own one), that may become a casualty of superglue. As ironic as it sounds, with superglue being the main culprit in potentially destroying things instead of fixing them, you may find yourself in a state of panic when this happens. You do not have to stress yourself over this though because as impossible as it may seem, it is actually fairly easy to remove super glue from quartz countertop. Because quartz countertops like Caesarstone or MSI Q have surfaces that are non-porous and does not require a lot of effort to maintain, you can keep them looking in tiptop shape without putting in extra hard work. 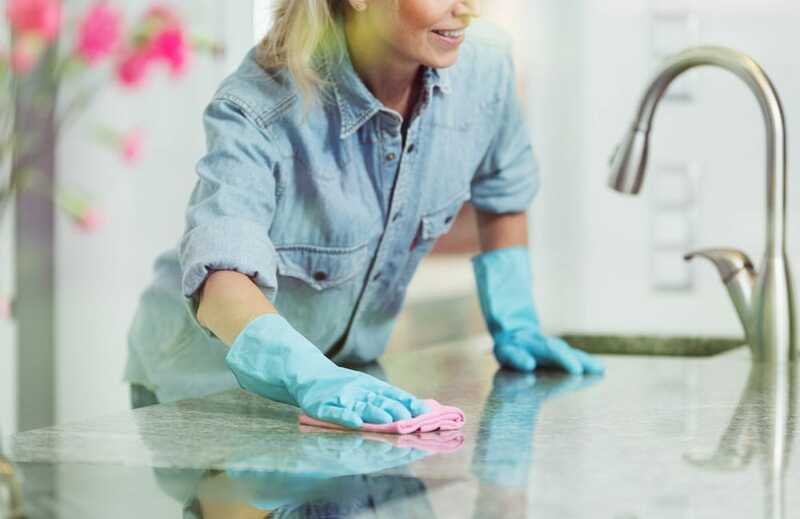 However, even if this is the case, there may be instances when not being mindful of the chemicals you use on these countertops can permanently damage them. This is because, despite there durability, this does not mean they are not vulnerable to any liquid product out there. Accidents happen from time to time and this may involve super glue. Removing it is not too difficult, but you need to see if the chemical you are about to use is compatible or will not ruin your quartz countertop. With these three things, you can be on your way to remove that dreaded super glue off your quartz countertop’s surface. Perform the following procedures with care so you can have your MSI Q or Caesarstone countertops looking like new! Before anything else, test the acetone for compatibility with your countertop’s surface. Make sure to do this on a hidden area so you will see how the acetone will affect it. This way, if the product discolors or damages the finish of the quartz countertop, it will be away from plain sight and you will avoid further destruction of the area with the super glue. If everything turns out fine, carefully remove lumps of super glue by scraping them off with your razor blade. This way, only the stubborn stains remain, and you will not have to use a lot of acetone on your precious quartz countertop surface. Next, dampen the cotton pad with acetone. In fact, you can also use a cotton ball or a rag to apply the acetone on the stain, but a cotton pad lets you have more control as you gently rub it on the super glue stain. Ensure that the acetone saturates the super glue on the affected areas. You may ask, “Why is it that out of all stain removers, we need to use acetone?” The answer is simple: acetone makes the cyanoacrylate adhesive (what super glue is made of) disintegrate. Quickly wipe away any excess acetone with a damp cloth and take your razor blade to scrape off the super glue stain again. Specifically, position the razor at an angle of 45 degrees and move it in a scraping motion. Do this repeatedly until the super glue starts to chip and peel off. If there is still superglue left, you may apply acetone again to the stubborn bits. After this, you may repeat the same scraping process again until the superglue detaches from the surface of your quartz countertop. To avoid substance reactions, wait until the acetone evaporates or wipe it off first with a damp then dry cloth before cleaning and polishing the surface. When it’s all cleared up of any residual acetone, you may now proceed to wash the surface with mild soap and water. Lastly, polish accordingly and enjoy a fresh surface! Quartz countertops may withstand heat and pressure but at the end of the day, it is still important to treat them with utmost care. As much as possible, to avoid panic moments brought about by substances spilling on this sleek household item, be careful when handling things, especially chemicals, near them. Moreover, see to it that you follow proper maintenance methods on your quartz countertops to keep them as shiny and spotless as when you just got them. Handle with care when cleaning. 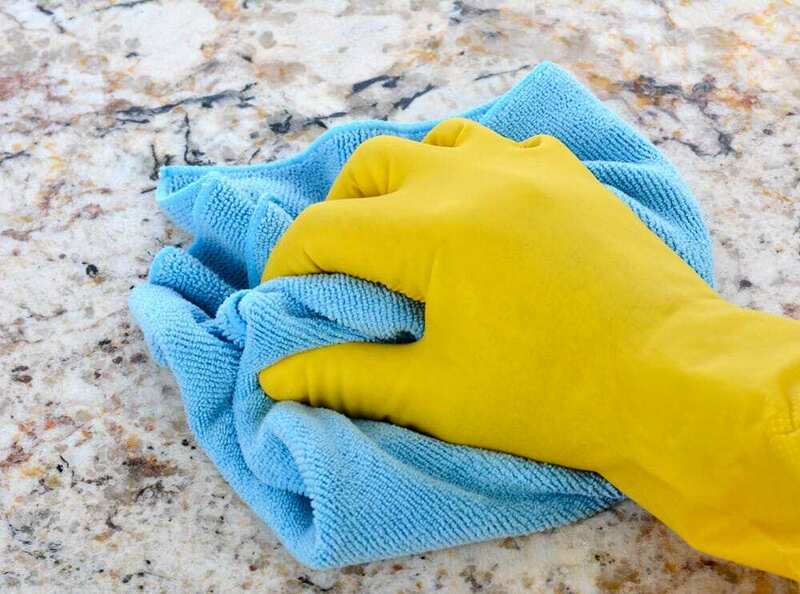 Scrubbing harshly may be the most unnecessary and harmful thing that you can do to your quartz countertop! Use mild products. A simple, gentle soap mixed with water will do. On the other hand, if the company you got it from has a specific cleaning product for it, make sure that it’s the one that you use. Only use paper towel, cloth, or sponge to wipe the surface of your quartz countertop. This way, you can avoid scratching the surface with a tough scrub. Go for non-abrasive cleaning materials. This way, as you achieve a cleaner, disinfected surfaces, you also get to avoid faster wear and tear of your countertop. Treating stains on your quartz countertop and caring for it is not as complicated as you may think it is. It all only requires the utmost care and minimal products to maintain its health. Best of all, as much as possible, avoid mending things with superglue on your quartz countertop. Taking precautions will keep you at bay from worrying about ruining these luxurious surfaces. If you think you need more professional help, do not hesitate to call the experts at Granite Selection! Give us a call at (888) 906-3317 and we’ll be happy to assist you! After all, it’s always better to be safe than sorry.